I was scrolling through my "Friends List" on Facebook and noticed that most of the people I have on my friends list had little to no conversation with me in high school. I basically have over 400- something friends on Facebook and there is maybe only 5-10 people on there that I actually have a genuine friendship with. Junior High and High school I remember I wanted everyone to like me and be my friend. I dreamed of being those popular girls who always had everyone around them and were known for who knows what. Now come to think of it, as I have matured a great deal I know that I rather not have that. 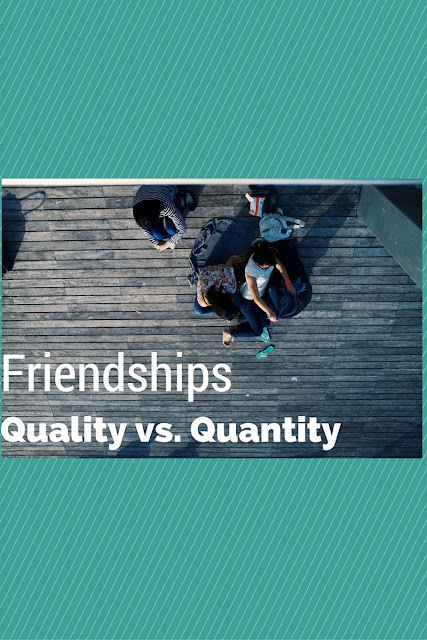 I don't want tons of "friends" in my life, I want quality friendships.